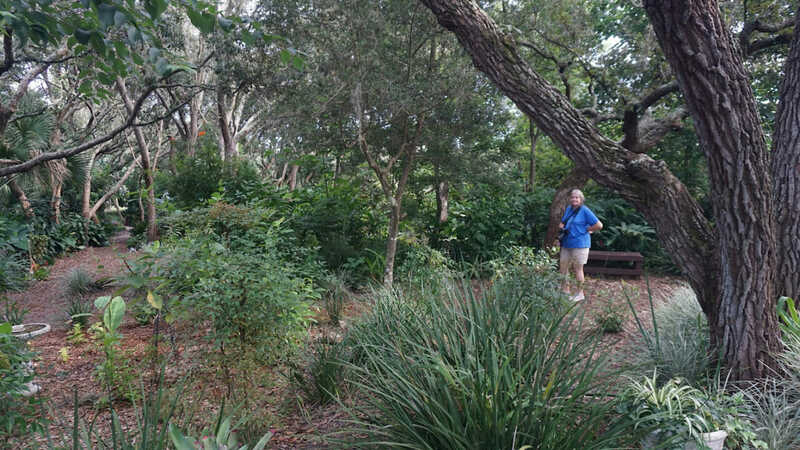 Nature Coast Botanical Gardens | Florida Hikes! Leashed pets welcome. Their on-site nursery is open Monday and Saturday from 9-noon. Your purchases help support the gardens. From US 19 in Spring Hill, turn west along Spring Hill Drive. Make a left on Parker Avenue, just past the Bank of America. The garden entrance is up one block on the left, across from a residential area. As you wind along the garden pathways, enjoy the serenity that comes with a walk in a garden. We walked in a counterclockwise loop, taking the side loops wherever we found them. In all, with some minor backtracking to explore the Oriental Tea Garden, the Palm Garden, and the Rain Forest, we walked a half mile. 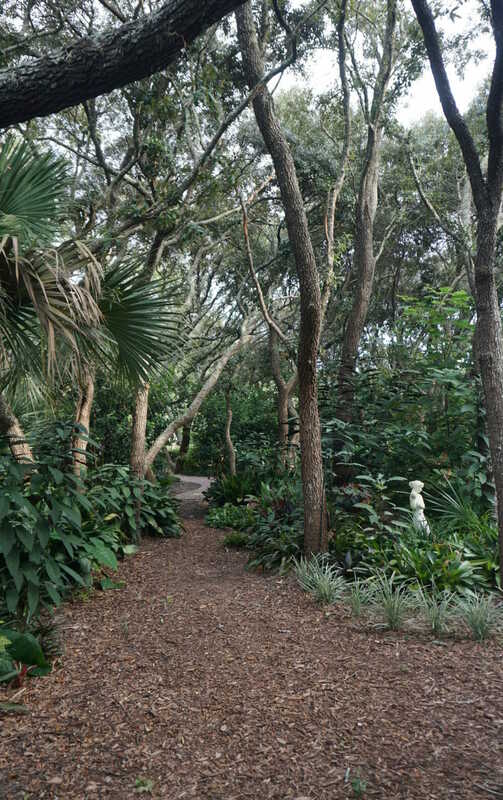 The east side of the gardens benefit from a tree canopy – what remains of the original sandhill habitat that blanketed this area – so plants that enjoy deep shade thrive here. 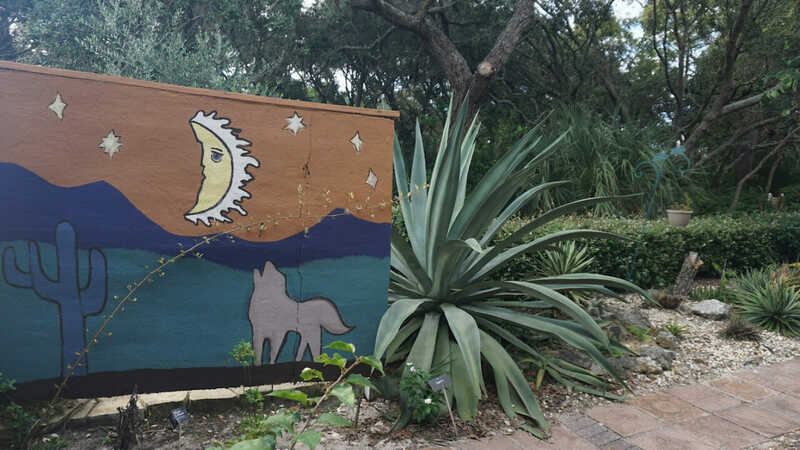 You’ll discover more open sun-washed spaces at the Rose Garden, the Picnic Area, the Butterfly Garden, and the Desert Scape, which amused us with its colorful thematic art. 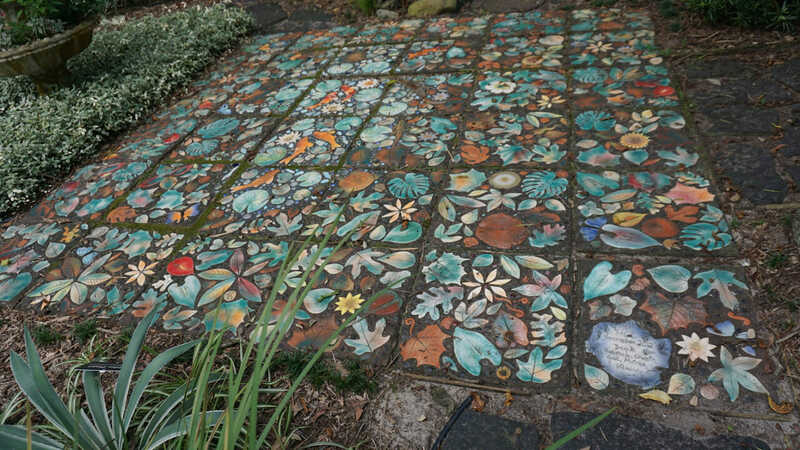 With its bold, colorful mosaics, the Fantasy Garden caught our imaginations. 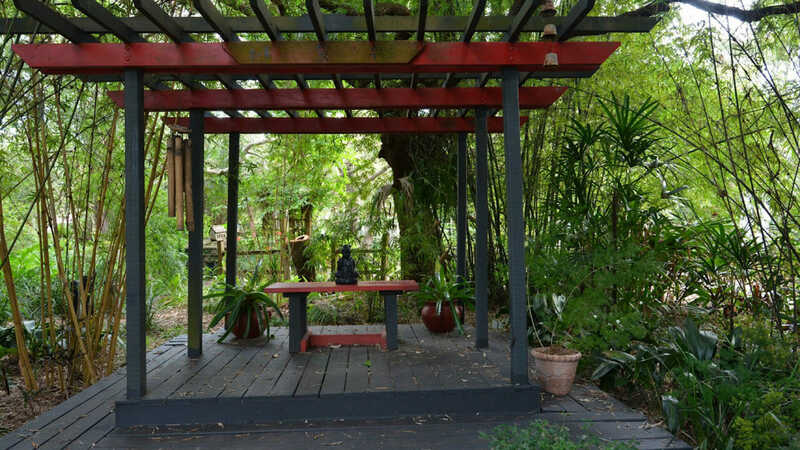 We found the Oriental Tea Garden a peaceful, welcoming space. As we rambled from garden to garden beneath the canopy of oaks, I started mentally tallying all of the different garden rooms. By the time we reached the kiosk near the nursery, I discovered my count was low. 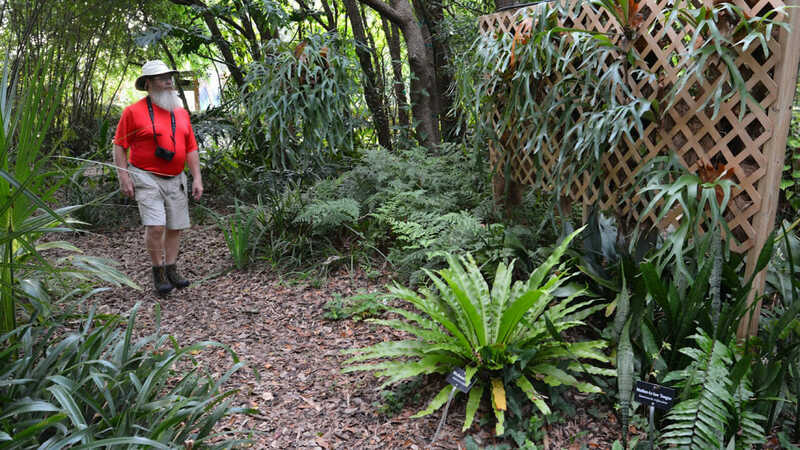 There are 22 themed gardens within the complex, which covers less than five acres. 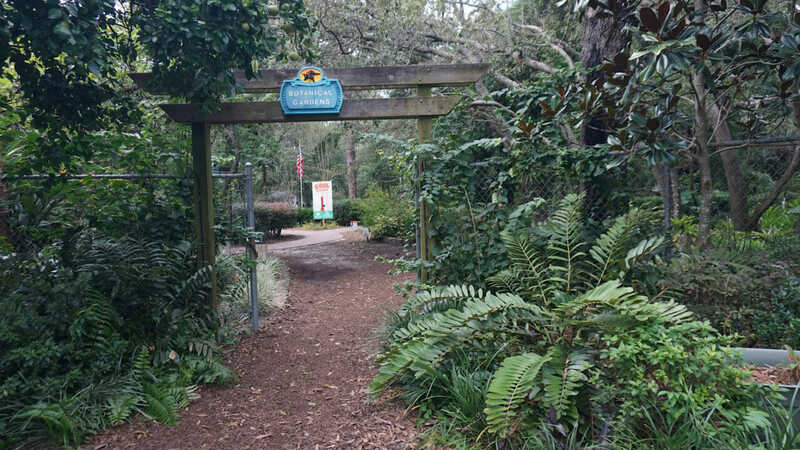 Since the first plantings took place in 1994, the gardens are quite mature, as is the canopy knit above by the sand live oaks. Each thematic area is cared for by a lead volunteer. 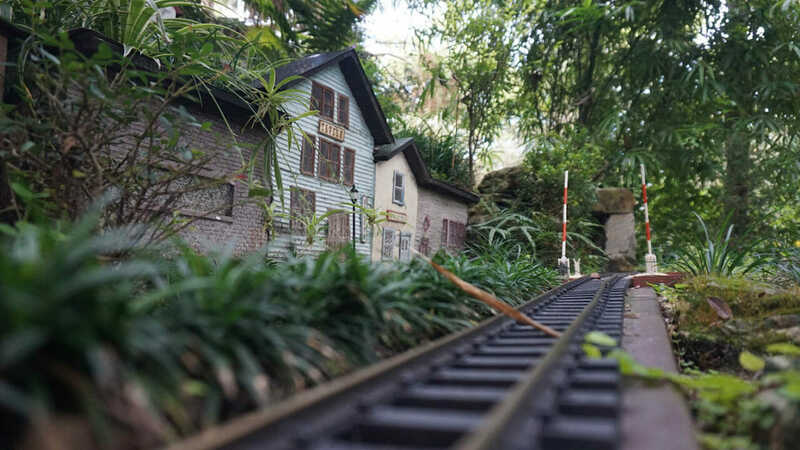 Show up on Saturdays and you might catch the garden railroad in action: it circles the waterfall that adjoins the Rain Forest. Guided tours available for groups of five or more.